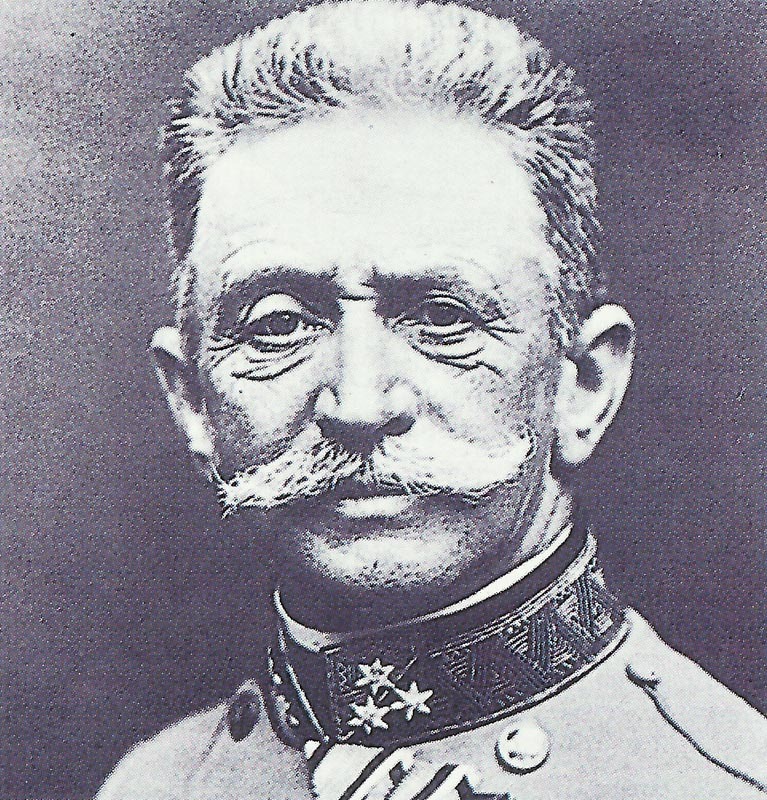 The Austro-Hungarian field marshal Franz Conrad von Hötzendorf was an educated, multilingual man. He was an excellent strategist, but he had to fight with the inadequate Habsburg war machine as well as with his German allies. Serbia: German Chief of staff Falkenhayn suggests to Austrian Conrad quick strike against Serbia to open way for supplies to Turks, but Conrad says no forces due to impending Galician offensive; Falkenhayn rekindles interest by hoping for Bulgar intervention. Eastern Front: Senior Austrian commander escapes in waiting Albatros BII shortly before fall of Przemysl.